You are here: Home / LIFESTYLE / Your Money / Can You Make Money Trading Forex with No Previous Experience? Can You Make Money Trading Forex with No Previous Experience? It’s no secret that trading stocks on the foreign exchange market is a very lucrative endeavor. However, the one thing that separates pros from amateurs is experience in the field. Still, beginners shouldn’t fear to take a leap and invest in currencies. After all, a well-informed decision can be made by anyone as long as they know what they’re doing. It’s no secret that anyone can achieve success in any field as long as they are dedicated to it. This is equally true for forex trading as it is for any other career. But even so, the question still stands: can you make money trading forex with no previous experience? Let’s find out. Here are five steps that need to be taken towards profit. Forex brokers offer a variety of different trading platforms to their clients, just like those in any other market would. The advantage of using such a tool to place your investment is that you gain access to real-time charts and market data that will help with taking the best decision, and hopefully gain some profits as well. Choosing the one that suits you best is easier than ever nowadays because most of them offer an opportunity to test them without any additional risks. For example, when you download MT4, you will be able to use it for free during a certain period of time. 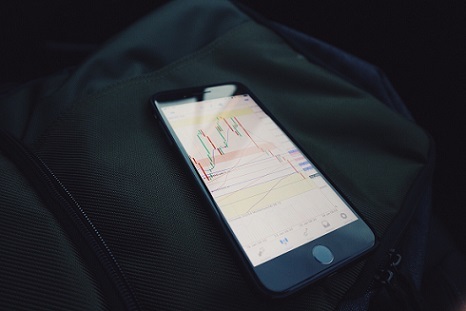 Such a trial also presents the possibility to engage in simulated trades based on actual exchange rates and other factors, so that you get a feel for the market and its inner workings. As a general rule, the foreign exchange market is driven by eight essential currencies from all around the world. The first three positions are undoubtedly occupied by the European Euro (EUR), the U.S. Dollar (USD) and the British Pound (GPB). Still, the Australian, New Zealand and Canadian Dollars are also popular choices, as are the Japanese Yen and the Swiss Franc. The most popular coupling has long been the EUR/USD one, but there are plenty of other options out there. According to Investopedia, there are two main types of currency pairs: the majors, and the minors plus exotics. The former is represented by those that are traded against the U.S. Dollar, while the latter has nothing to do with it. In order to determine what the most suitable battle plan is in any situation, you need to possess a deeper understanding of the market. And the best way to achieve this is through technical analysis and fundamental analysis. These two methods approach the issue from two different standpoints and offer a pertinent overview of the larger context surrounding a stock. On the one hand, technical analysis deals with the historical context of a particular trade. With the help of evolution charts and information on the fluctuation of interest rates over time, you will be able to determine what the most likely outcome of any investment is. This type of data is provided by your FX platform of choice. On the other hand, fundamental analysis approaches the same stock from a different perspective through an overview of the fundamental economic factors which influence it. These have to do with interest rates, expenses, and equities, as well as the gross domestic product of its country of origin. Contrary to popular belief, an efficient and reliable forex strategy can be devised by someone with little to no experience in the field. This can occur only under the condition that said person does their proper research beforehand, but it can happen nevertheless. The first key to success is remembering that practice makes perfect. And to ensure that you learn something from all of this, keeping detailed reports of your activity is essential. By writing down the exact date and time at which a position is entered and exited, as well as the reasons for doing so and a total profit versus loss count, you will quickly find out what is working for you and what isn’t. Letting your emotions get the best of you can ruin even the soundest investment. It’s important to keep a clear head in the forex game and base decisions on objective data only. Going with your gut can be good every once in a while, but more often than not it leads to disaster. Therefore, be wise when administering the budget and stick to goals. When you’re a forex beginner, matters tend to seem a lot more complicated than they are. But by choosing the right tools and possessing a deeper understanding of the market and the strategies needed on it, you can make money regardless of pre-existing experience levels. And if you fail, remember that it can happen to the best. The key is to never stop trying.